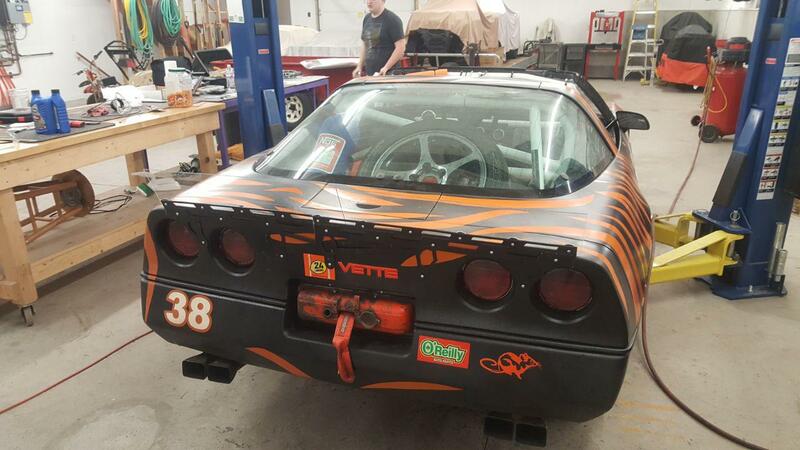 The 24 Hours of Lemons Forums → Lemons Tech → Corvette build thread! So our BIGGEST issue we had at our last race was that the car was too loose....CLEARLY that issue can be solved...with down force!! A local stock car team knocked the body off of said stock car. They used this as an excuse to update to a newer body. 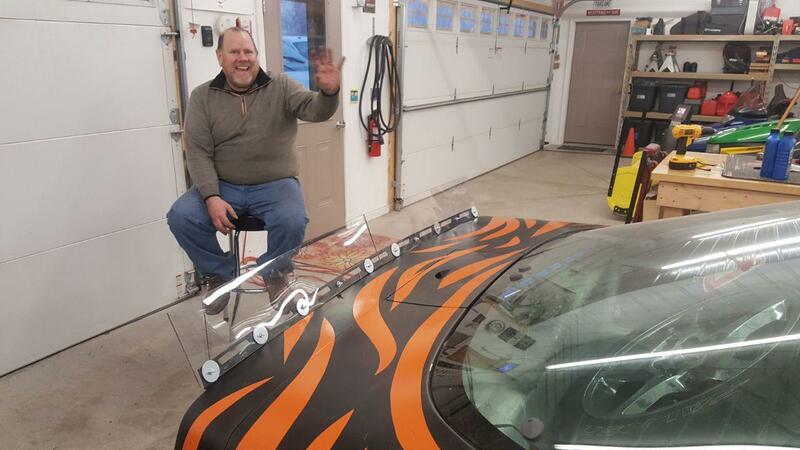 We dug the spoiler out of the dumpster, hammered it flat, narrowed it, and bolted it up to the Vette. As you can see it looks great, will be interesting to see how much the tail flexes thanks to it! !